Mazda's SUVs are all exquisite and boast outstanding performance. Only one can pull up to 3,500 lbs., though. That's right, the Mazda CX-9 is the largest vehicle made by the company. 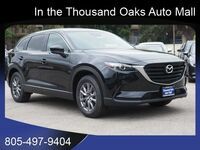 If you're in need of an affordable crossover with more than 70 cubic feet of cargo space and is just as capable as any in its class, you won't need to look further than the 2018 Mazda CX-9. 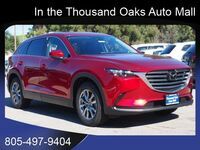 The Mazda CX-9 also comes with a huge slew of features that will make you want to stay in the driver's seat forever. MAZDA CONNECT™ is the great infotainment system that drivers and passengers alike can enjoy. 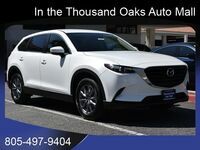 This system allows those inside to connect their compatible smartphones to the Mazda CX-9. Certain apps and navigation will appear on the SUV's touchscreen display so everyone can safely stay connected. Keep reading to learn more about the new Mazda CX-9. 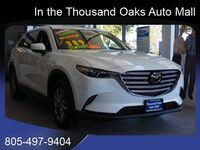 Predictive all-wheel drive, Skyactiv technology, and advanced safety features are just the beginning of the Mazda CX-9's advancements and innovations. Under the hood is where you can find the 2.5L I4 base engine that is powered by 227 horses, which we promise you will love to drive. Oh, and it averages up to 28 highway MPG so you will save some trips to the gas pumps. The back end of the Mazda CX-9 holds 71.2 cubic feet of cargo volume, which ranks among the leaders in the class. Bose premium audio and HD radio pair to make your music listening experience as immersive as ever. Blare Eminem or throw on some Simon & Garfunkel. Either way, you will love the way it sounds. Enough hesitation! You should just come look at the new Mazda CX-9. We can be as descriptive as possible, but it won't be enough. You have to lay your own eyes on the vehicle to get the full effect. Stop on in or give us a call. We will go over all of the pricing and financing options and we can even set you up for a test drive. Regardless, we hope to hear from you soon.